Sri M.N. Jayakumar, IFS (Retd), FRPS, MFIAP. 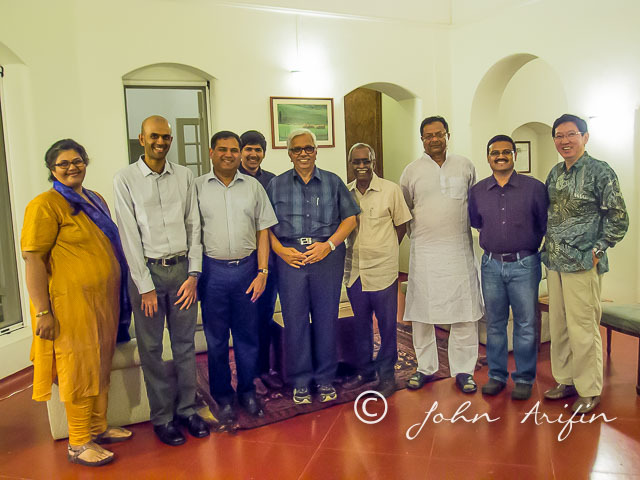 Three of us and other organizing committee members lead by Kris Maruthachalam spent two days in city of Coimbatore screening through all the 3500 images submitted from all over India. With iPad in our hand we kept score of every image we viewed. I throughly enjoyed the discussions that we had among the judges to pick and rank the winners. Once judging was done, I had the chance to visit Eravikulam National Park with fellow judge M.N. 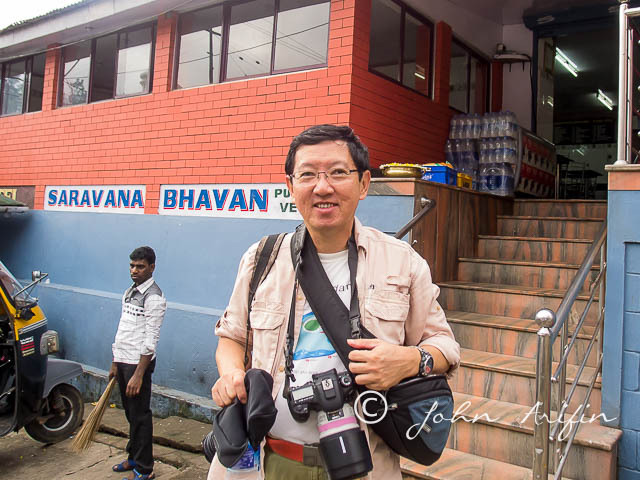 Jayakumar to photograph the Nilgiri tahr. When the weather was not too cooperative due to the monsoon, we took a detour for some authentic Southern Indian food in Munar. It was there that we located a neat eating place tucked in the small street where we visited a few times for breakfast, lunch and dinner. 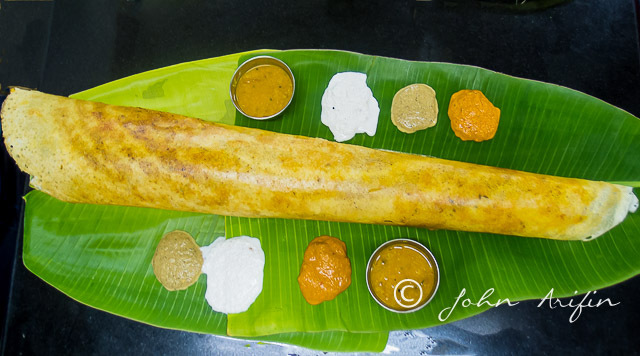 I had my best “ Onion Dosai” on banana leaves. Crispy on the outside, soft and very buttery inside. The taste of the onion exploded once I sank my teeth into it. 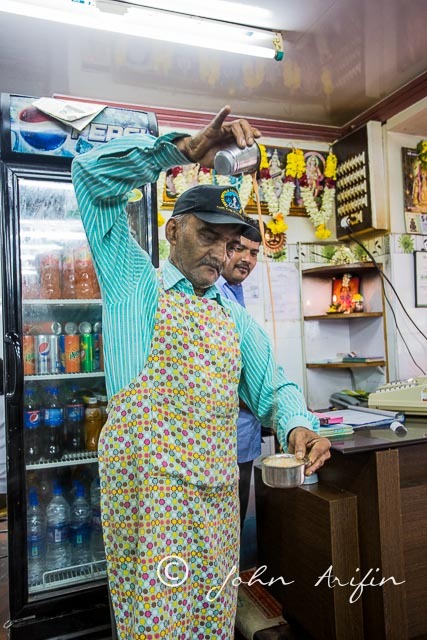 The place is also famous for its coffee for just 25 rupee (S$ 0.50) served in the small stainless steel cup. 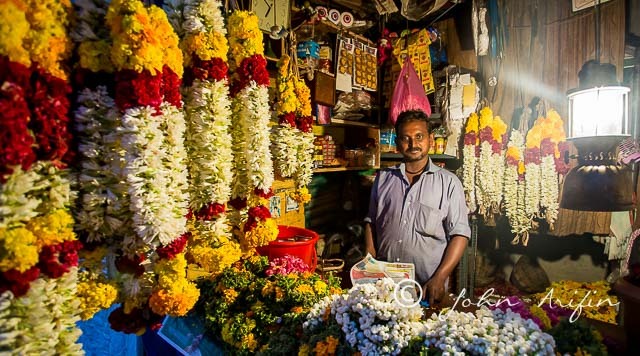 Flower shop in Munar is very similar to the one in Singapore at Little india except they opened very early in the morning and closed late in the evening. My wife, Anna and I first visited Coimbatore12 years ago on our maiden trip to India. Since then, we have made multiple trips to different parts of India to photograph wildlife. 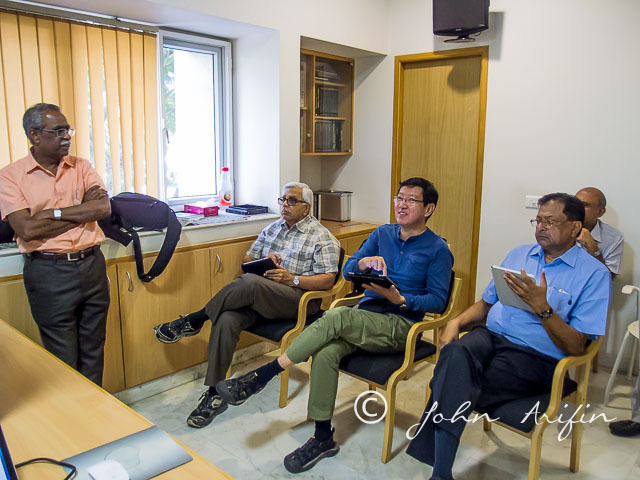 The judging not only gave me the opportunity to see some of the finest wildlife images and locations in India firsthand, but also a chance to meet up with friends. At a sharing session with the local photography club, I touched upon the beauty of “Birds and wildlife from the rain forest of Southeast Asia”. Look at her sweet smile. Mangoes are everywhere even along the road.